When Oregon-based InFocus announced its first smartphone in India, people wondered what a company with a formidable and established presence in projectors and large-format displays was doing in the super-competitive smartphone market. 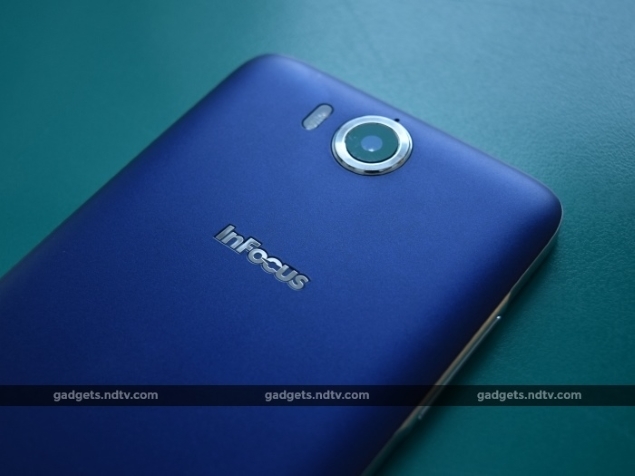 The first product, the InFocus M2 (Review | Pictures), offered an impressive specification list at just Rs. 4,999 and garnered serious attention. InFocus also announced that its phones were being made by Foxconn, the same company that manufactures the iPhone for Apple. The latest in the company's line-up is the InFocus M530. At Rs. 10,999, the device competes in the sub-Rs. 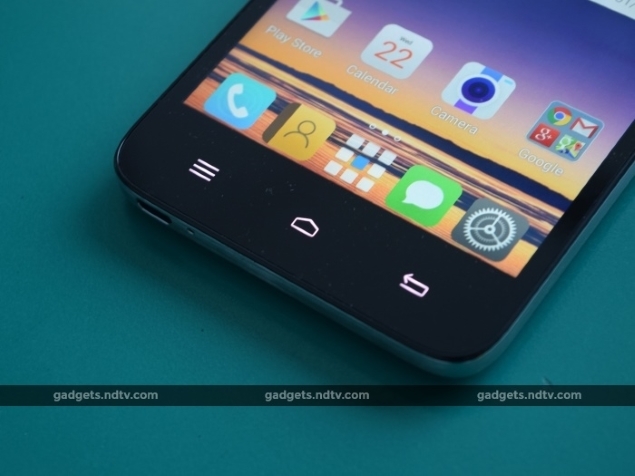 15,000 price segment, which puts it against competition such as the Phicomm Passion 660, Xiaomi Mi 4i and Xolo Black. The M530 offers some interesting features, such as a 13-megapixel front camera with soft flash and the capable MediaTek MT6595 SoC. Does it have what it takes to compete in the toughest price segment in the industry? We find out in our review. The InFocus M530 is an average looking device, with very little setting it apart in terms of look and feel. The front of the device is protected by Corning Gorilla Glass. The three Android soft keys are off-screen, on the chin of the device, while the area above has the front camera, soft flash and proximity sensor. The edges feature a metallic finish which looks good. There's just one function on each edge; the 3.5mm socket is on the top, the power switch is on the right, the microUSB port is on the bottom and the volume rocker is on the left. The screen itself is a 5.5-inch 720p affair. Naturally, this makes the M530 a large device, feeling rather phablet-like in both size and weight. 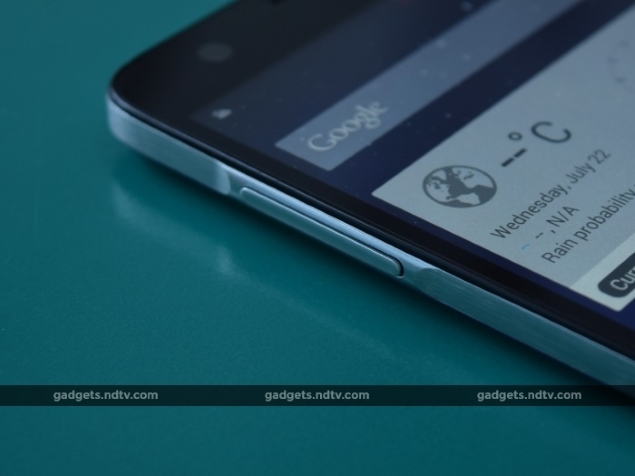 Despite the low pixel density, the screen looks decent, with adequate sharpness and vibrant colours. However, some competing phones in this category, such as the identically priced Phicomm Passion 660 (Review | Pictures), have sharper 1080p displays. This puts the InFocusM530 at a slight disadvantage. The back of the device is a plastic removable panel, which comes in two colour options: violet and white. The panel itself is rather thin and flimsy, with a small speaker cutout at the bottom, InFocus branding, and holes for the camera and flash. The camera lens itself is not flush with the back panel, instead sticking out a bit. A ring around the lens should protect it when the phone is lying flat on its back. 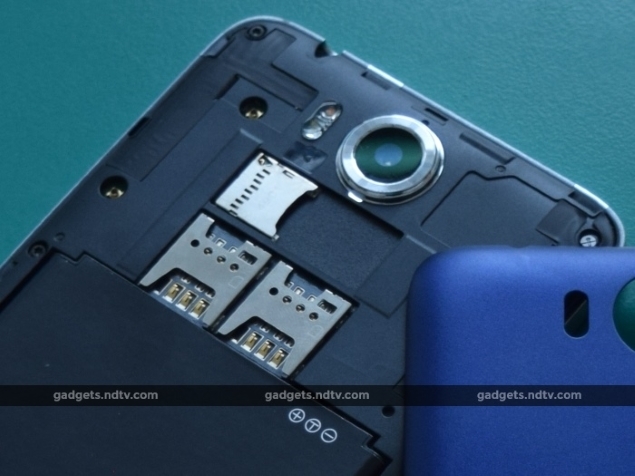 Under the back panel, there is a removable battery, two Micro-SIM slots and a microSD slot. The storage card can be swapped easily enough, but inserting or removing SIMs will need you to switch off the phone and remove the battery first. There isn't much else of note as far as look and feel is concerned; the InFocus M530 is obviously more about performance and function than design and aesthetic appeal. The InFocus M530 uses the MediaTek MT6595 octa-core SoC, which is clocked at 2GHz for the four primary cores and 1.7GHz for the four secondary cores. The integrated GPU is the Imagination Technologies PowerVR Rogue G6200. The phone has 2GB of RAM and 16GB of in-built storage which is expandable by up to 64GB with a microSD card. The phone is 4G enabled, with band 40 compatibility for 4G on Indian networks. Both the primary and secondary cameras are 13-megapixel units. The rear camera has a dual-tone flash, while the front has a single-tone soft flash lamp. 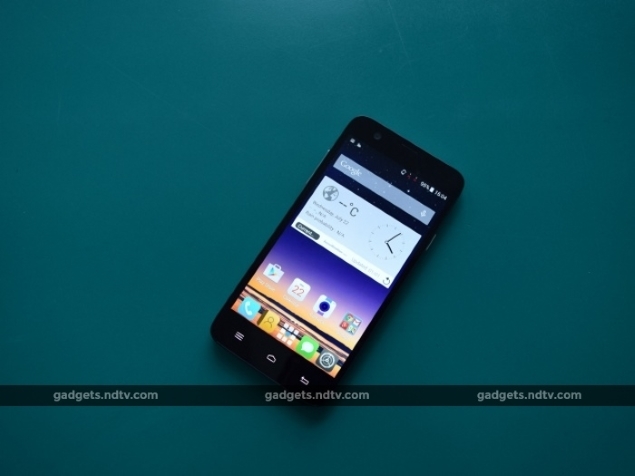 The device runs on the now-outdated Android 4.4.2, with InFocus' InLife user interface layered on top. This is one of the few user interfaces that allow you to activate or deactivate the app drawer. Single-layer mode is similar to MIUI, where all apps are stuffed onto various homescreens, much like on iOS. Two-layer mode activates the app drawer and removes the clutter on the homescreens, and is our preferred mode. The UI itself is silly-looking at times, but this is not a problem. Some of the icons and colour combinations come off as cartoonish and unsophisticated, but it's something you can learn to ignore. There's a fair amount of customisability in the pull-down menu and the lock screen, and plenty of options in the settings as well. You can tweak the device to suit your needs to a reasonable extent. There is a small amount of pre-installed bloatware, although some of these apps, such as the Snapdeal and MeituPC apps, can be uninstalled. The rest of it won't really get in your way and can be ignored. Some of the preloaded apps are even useful, such as WPS Office, which lets you view and edit documents, presentations and spreadsheets. The rear camera is a 13-megapixel shooter with dual flash and optical image stabilisation. It's fairly good with pictures in both normal and low light, capturing accurate detail and colour. As with some other cameras in this range, the M530 has an over-saturation problem with whites, which appear washed out and too bright. 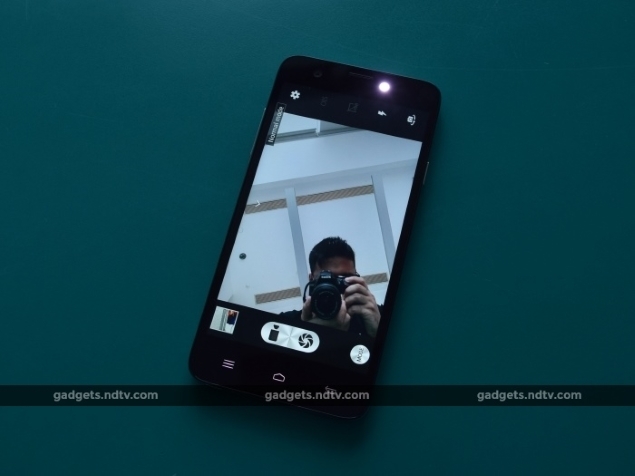 The front camera also has a 13-megapixel sensor, with similar levels of detail and accuracy to the rear camera. An interesting addition is the soft flash, which helps when taking selfies in low light. It's definitely among the better front cameras we've seen on a smartphone, and selfie lovers will be very pleased with the results. 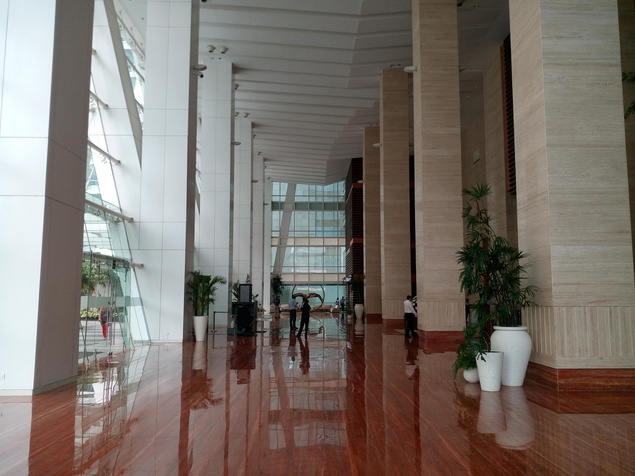 The camera app is well designed and easy to use, with important functions such as OIS, HDR mode, flash, camera switcher and mode selection on the main camera screen itself. There isn't a lot in terms of settings, making this purely an amateur's camera. Autofocus is quick and accurate, as is the shutter itself. It's a pleasant camera to use, on the whole. 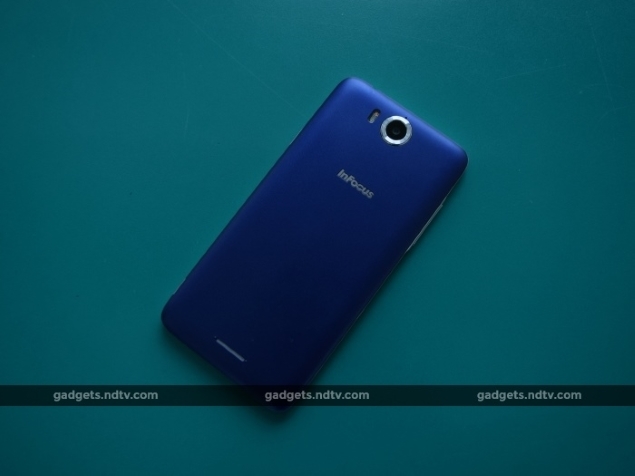 The InFocus M530 is a surprisingly capable performer for a phone at its price level. The UI is snappy and quick to load, as are apps and games. We ran our collection of heavily-encoded videos and the device ran them comfortably, with no visible motion flaws or stutter. Not once did we notice lag of any kind on the device. Performance benchmark figures will corroborate our flowing praise for the InFocus M530's performance. AnTuTu gave us a score of 49,770, while Quadrant returned 23,673. GFX Bench rendered its test scene at 31fps, while 3D Mark Ice Storm Extreme returned a score of 6,081. All of these scores are very high for a device that costs just Rs. 10,999, and prove just what the phone is capable of in terms of power. Finally, we ran our video loop battery test, which lasted 7 hours, 21 minutes before the phone died. Despite the battery being above average at 3,100mAh, the M530's battery performance was absolutely unexciting. The InFocus M530 is a confusing phone for us, and our opinion swayed all over the place during our time with it. At first, we were pretty underwhelmed with the look and feel of the M530, seeing as it has no real standout attributes. The camera and performance impressed us soon after, but disappointing battery life brought our opinion back down. Simply put, this is a phone that does some things very well, and others poorly. If camera quality and performance are a priority, you simply cannot do better than this phone at this price. But if battery life is a concern, you'd do better to consider the Xiaomi Mi 4i, which offers a more rounded experience. If those high performance figures have convinced you, the InFocus M530 is available now exclusively on Snapdeal. product The M530 is packed with performance and features at a low price, but has a few shortcomings as well.